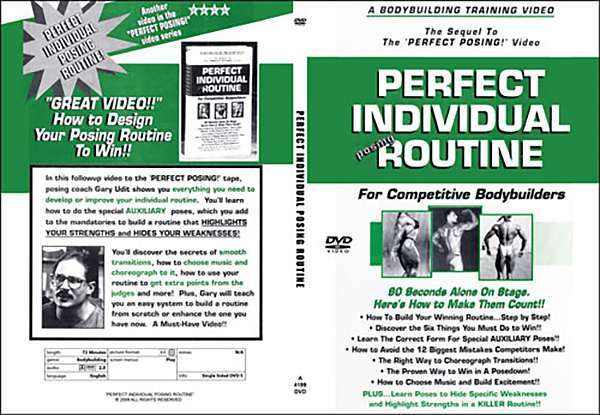 This is the 65 minute follow-up DVD to Perfect Posing, in which you learn MANY new AUXILIARY poses which you can add to the mandatories to build a fantastic routine. 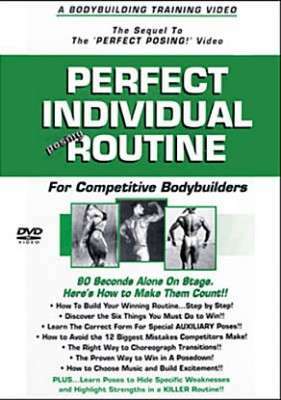 This is the follow-up DVD to Perfect Posing, in which you learn MANY new AUXILIARY poses which you can add to the mandatory poses to build a fantastic routine. Learn how to hide your weaknesses and make your routine score maximum points! Includes demonstrations for both male and female competitors from top pro judge Gary Udit. As an amateur you have 60 seconds alone on stage to make your mark and impress the judges. Here is how to make that 1 minute really count.